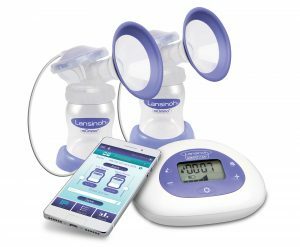 The latest addition to the Lansinoh family of pumps uses Bluetooth technology to connect seamlessly to the Lansinoh Baby App, giving moms the opportunity to track pumping sessions, baby’s activities and more, helping to simplify the routines that come with being a new mom. Lansinoh’s breastpump provides time-saving pumping efficiency without causing pain or discomfort. Three customizable pumping styles and eight different suction levels allow selection of the perfect settings for comfort and maximum milk production. It’s perfect for busy moms. A hygienic closed system design keeps breastmilk from backing up into the motor or tubing to help prevent mold and bacteria. It can be used as a double or single electric breastpump. 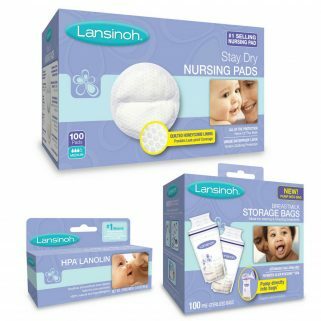 Connects to your smartphone and the Lansinoh® Baby App for tracking, reminders and more. Independently adjustable suction and comfort modes. Three customizable pumping styles and eight adjustable suction levels. Few parts for easy assembling and cleaning. All parts that come into contact with breastmilk are 100% BPA and BPS free. Automatically tracks the date, time and duration of pumping sessions. A simple touch screen tracks the amount of breastmilk pumped at each session. View pumping history and trends and download to share with healthcare providers and caregivers. PLEASE NOTE: Not fully covered by insurance. Additional costs may apply.